Detail of the EMS VCS3 at MESS, showing the patch panel and dials. Photography by Amber Haines, “Detail of the EMS VCS3 at MESS,” Grainger Museum Online, accessed April 20, 2019, https://omeka.cloud.unimelb.edu.au/grainger/items/show/206. 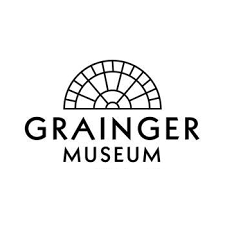 Return to the Grainger Museum website.